LoadPath has delivered critical flight hardware for over 10 DoD missions. Typical applications of our design and analysis services includes multiple payload adapters, payload accommodations, deployable structures, integrated structural antennas, reentry vehicles, and space mechanisms. 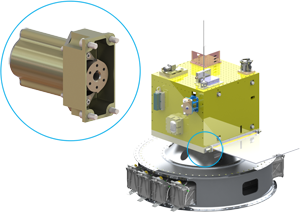 Examples of LoadPath's aerospace structure design capabilities include the hinge mechanism for a deployable thermal radiator and the CubeStack multiple payload adapter.